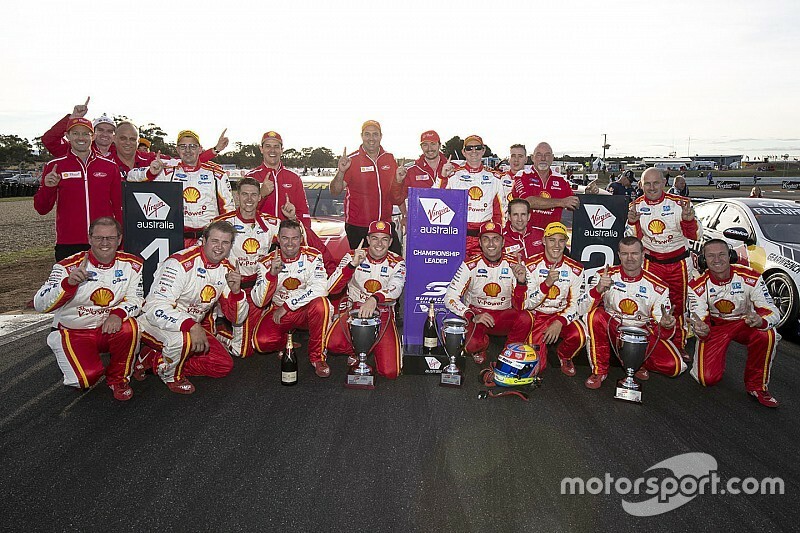 Fabian Coulthard says yesterday's one-two win for DJR Team Penske in Tasmania following recent parity adjustments shows that the Supercars team is 'just doing a better job'. 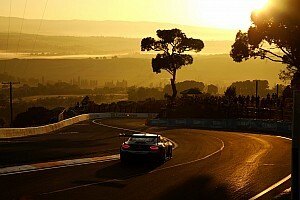 Ford's new Mustang was hit hardest by mandated centre of gravity changes ahead of the Symmons Plains round, with 28 kilograms worth of ballast shifted to the roofline of the car. The Holden Commodore only needed to move 6.7 kilograms to the roof, while the Nissan Altima remains unchanged in terms of ballast positioning. 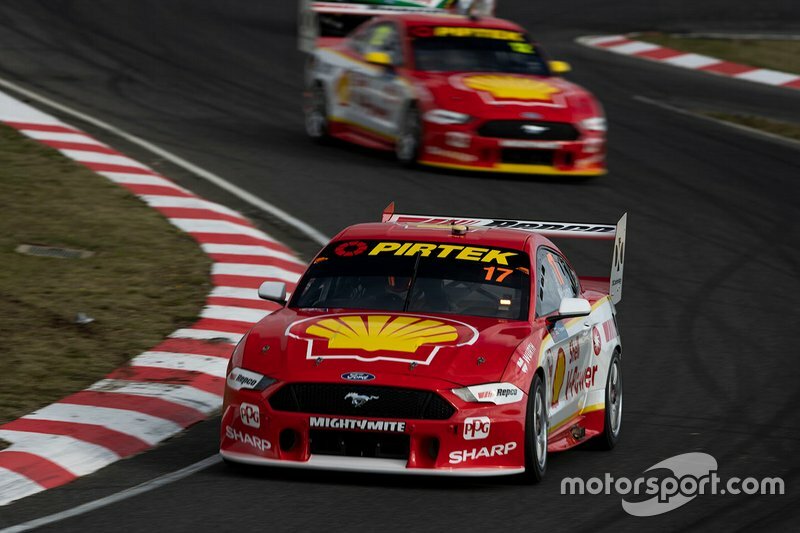 While the changes didn't stop the two Penske Mustangs from running away with Saturday's race, second place finisher Coulthard reckons it's unfair to downplay the impact of the shifted weight. He says the fact that only one of the four Tickford Mustangs finished in the Top 10 proves that the parity changes have slowed the car, and that it's an in-form DJRTP squad that's making the difference. "I wouldn't say it hasn't affected us," said Coulthard. 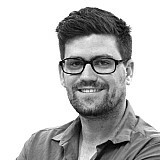 "If you look at where Tickford are, they were right on our bumpers at the [Australian] Grand Prix] and they're a little bit further back here. Tickford boss Tim Edwards, however, doesn't think the ballast change is responsible for the quiet showing from the team's four Mustangs. He says he always expected the Tickford cars to struggle on the unique Symmons Plains layout, thanks to the first-gear Turn 4 hairpin. 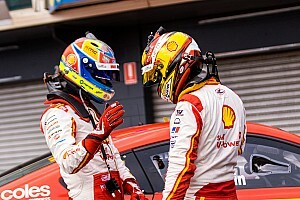 "If you asked us before the start of the 2019 championship what was going to be a tough round for us, or one I was a bit nervous about, I would have said Tasmania," said Edwards. "We've, historically, had a bit of a tough time here, our car just doesn't seem to get around Turn 4 very well. "It's quite a unique corner that you don't really find on the rest of the calendar. Do you re-engineer your car for it or do you try and deal with it? And that's what we're trying to do. "The fact is our car's really good through [Turns] 6 and 7, so it's got strengths and weaknesses, and unfortunately Turn 4 is a big weakness for us. It has been for a few years. "Like I say, if you'd asked me before the season began, I would have said this would be a tough round for us."